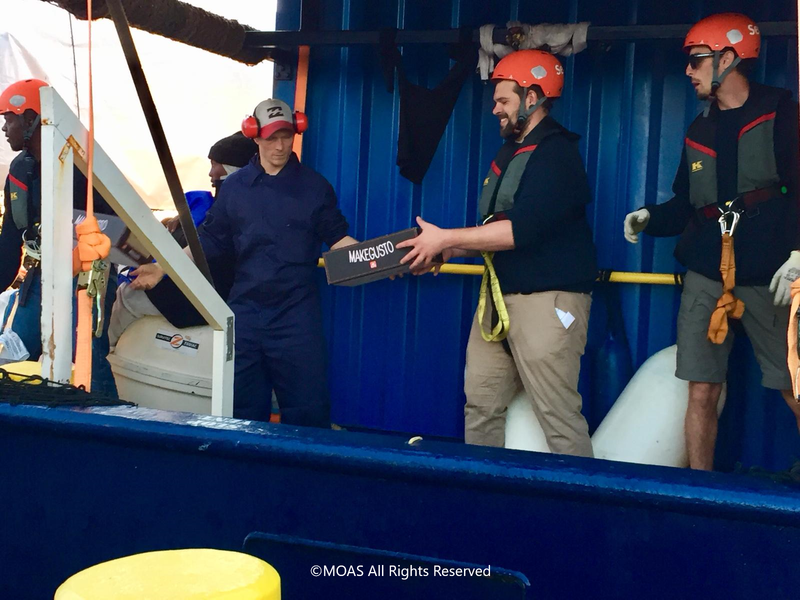 Yesterday afternoon, on Tuesday 9th April, MOAS launched a relief mission, delivering supplies to the Alan Kurdi rescue vessel, belonging to the German NGO Sea-Eye. The ship has been stranded for over six days in international waters having been refused safe harbour and was in need of food, water, medicine and other supplies. The Alan Kurdi rescued 64 migrants, including women and children, off the coast of Libya on the 3rd April, after being unable to contact the Libyan authorities. In the morning of the 9th a 24 year old woman was evacuated to Malta for medical attention by AFM following loss of consciousness on board. 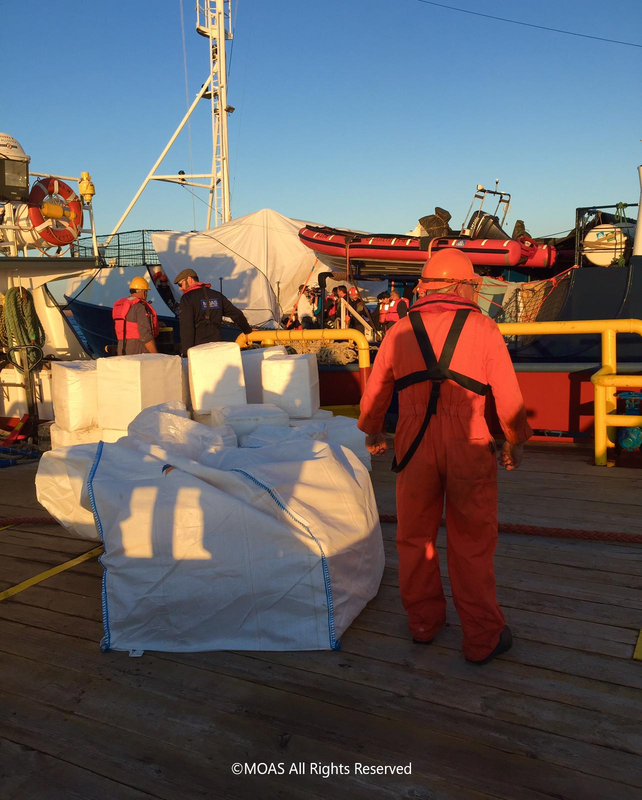 On Sunday a spokesperson for Sea-Eye publicly announced the shortage of supplies onboard. MOAS believes in the right to safe harbour for vulnerable migrants fleeing from poverty, persecution and conflict. Subsequently, on hearing the statement from Sea-Eye, and in accordance with MOAS’ guiding principles, we felt compelled to act. Yesterday evening we arrived and delivered emergency food, water, medicines and dry clothing and blankets to the remaining 63 migrants onboard the Alan Kurdi, which we hope will be of some support until a more long-term solution is found. 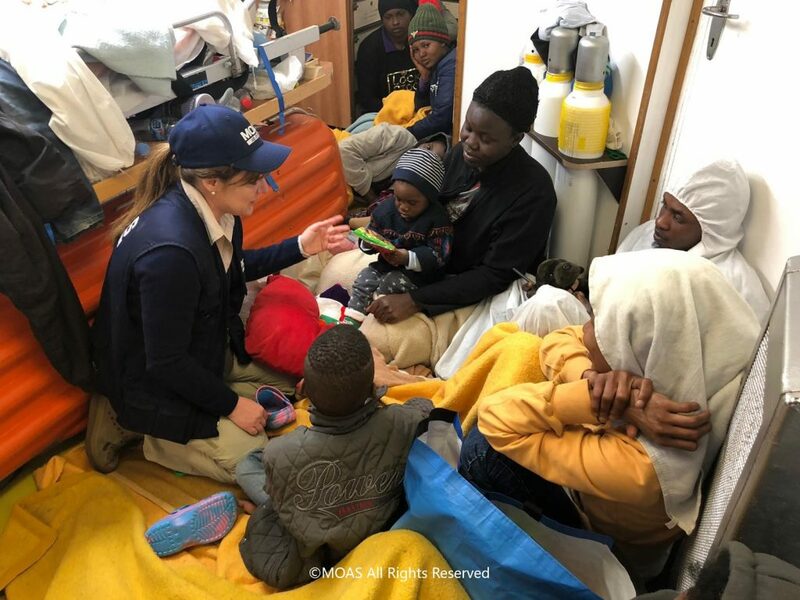 Most of those onboard have already experienced unimaginable atrocities in Libya and we are therefore deeply saddened that the ship has been stranded for so long, especially when those onboard include an infant and a young child who have been facing adverse weather conditions. MOAS refuses to ignore the plight and suffering of those on Europe’s doorstep. Escalating violence in Libya only enhances the need for the creation of safe and legal routes for vulnerable people in desperate need of protection. Regina Catrambone, MOAS director, says: “MOAS is an international NGO that is focused on mitigating human suffering. Our aim is to serve communities in crisis, such as those onboard the Alan Kurdi ship by providing immediate aid and assistance. We are an apolitical organization motivated only to help those in need”. 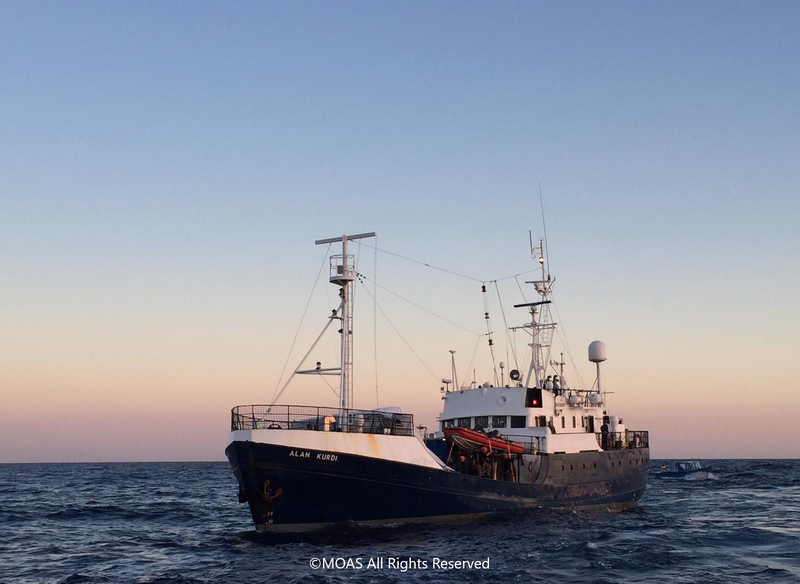 MOAS now hopes that the international community will focus on showing solidarity and compassion in their response to this SAR vessel and allow those onboard safe harbour in Europe.